We are delighted to welcome Chris and Julie back for their fabulous duo show. ‘Winners in the Best Duo category at the 2009 BBC Radio 2 Folk Awards and nine times nominated since 2001 in the Best Duo, Best Song & Best Live Act categories. 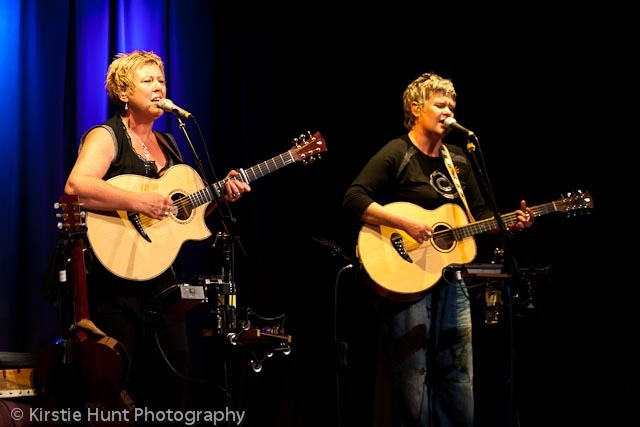 Chris While and Julie Matthews’ musical partnership began in 1993 when they were key members of the legendary folk super-group The Albion Band. In 1997 they left the band to concentrate on their work as a duo which has seen them tour throughout the world and gain an ever growing devoted fan-base. Their songs have been covered by a range of artists including Mary Black, Barbara Dickson, Christine Collister and Fairport Convention. Both multi-instrumentalists, Julie plays guitar, piano, ukulele, bouzouki, mandolin, harmonica and accordion while Chris plays guitar, bodhran, banjo, dulcimer and percussion. Their musical careers have produced successful solo albums and a variety of projects away from the duo including the Christmas band ‘St Agnes Fountain’ with David Hughes and Fairport Convention’s Chris Leslie.